Previously: Just when Gina appeared to have accidently stabbed her brother, her sword disappeared. She started to look at her hands, but at that moment the Beast plunged its gargantuan neck down toward them. It surrounded them with its huge foreclaws and encircled them from behind with its thirty foot tail. Boiling saliva oozed from between its teeth, smoke billowed from its nostrils. Its leathery lips curled in a predatorial sneer. Zack had no weapon, and Gina apparently no longer did either. Within seconds they would be roasted alive or sucked into an abyss of teeth, or both. Where’s the broadsword? And what am I holding? Gina was about to look down when she heard a human voice over the Beast’s growl. Just as the creature thrust its head forward, something blurred in front of her. It was B’frona. He’d scrambled over the Beast’s foreleg, tossing a ten foot pike ahead of him. Now, just as the monster jerked its massive jaws down toward Zack and Gina, B’frona picked up the pike, ran under the creature, and braced the circular end of it against the ground. The Beast’s own violent momentum caused the pole to skewer its lower jaw, tongue, and upper palette together. Its scream shattered the air like distortion at a rock concert. Zack and B’frona covered their ears, but Gina used the moment to finally look down at the object in her hand: it was the letter opener–the broadsword had been the Revealer in disguise all along! There’s a reason it changed when it did, Gina thought. It wasn’t just to save Zack. The tiny bejeweled Object seemed harmless (its blunt edge hadn’t even slightly injured her brother), but it was made of amarrildin… She suddenly realized what she had to do. She ran toward the dragon’s flailing maw. “Forget it! It can’t be killed!” Zack pointed at the Beast’s wounded leg: the severed artery was slithering shut, the leaden scales sliding back into place. …toward its huge dead eyes. Thoughts: Have you ever risked everything to avert a future that would not be worth living? 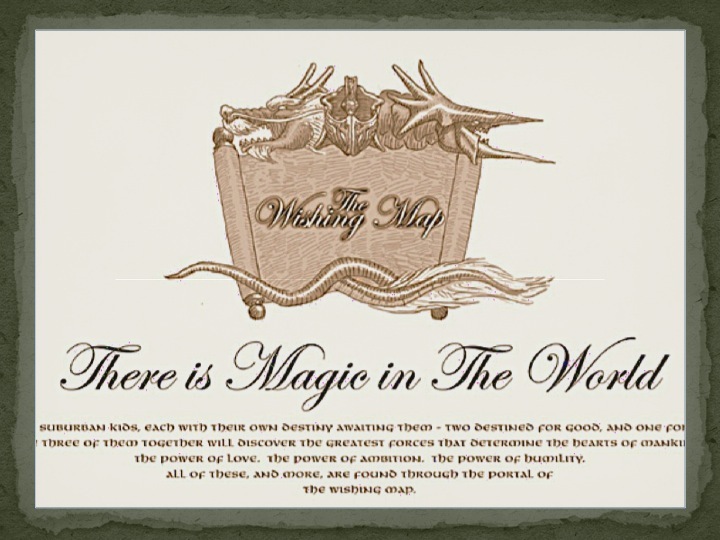 To read The Wishing Map 131 click here! This entry was posted in Culture, Story Power, The Wishing Map and tagged beast, danger, dragon, Gina, risk, sacrifice, Zack. Bookmark the permalink. Spine tingling, tense. Love it. Now I must go back to the beginning . . .
Have you ever risked everything to avert a future that would not be worth living?